Skitterblink is expanding to Silverlakes suburb and surrounding suburbs Zwavelpoort, Wapadrand, Wilgers, Zwartkoppies, Willows, Mooikloof, Olympus and also the Northern suburbs of Pretoria and Tshwane. If you are looking for the ultimate house cleaning service or the best office cleaning service in Pretoria East, Skitterblink Silverlakes is the go-to cleaning company for you! 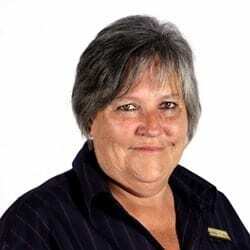 Thelma van Breda is the owner of Silverlakes Franchise. Thelma strives for a clean environment and will assist you in achieving this gaol at all times. My goal is to assist people from all walks of life, to ensure they can spend more quality time with their families, their hobbies, sports and other outdoor activities, by managing their cleaning requirements. Life has become very expensive and by delegating this task to Skitterblink, we will enable you to spend more of your income on well-deserved luxuries such as nail manicures, hair do’s, braaivleis and long overdue vacation as well as you will be saving on all cleaning materials and equipment. You will not have to replace vacuum cleaners, irons and iron boards, or spend any money on replacement staff whilst your employee(s) is/are on leave/sick leave. Contact us at 084 627 2031 for a quotation or any other request. Dit was heerlik vanoggend om te weet Skitterblink, in die persoon van Thelma, is diensverskaffers van ons al vir twee jaar! die diens is vinnig en effektief, soveel so dat ek hulle selfs in my eie privaat hoedinigheid ook reeds gebruik het.